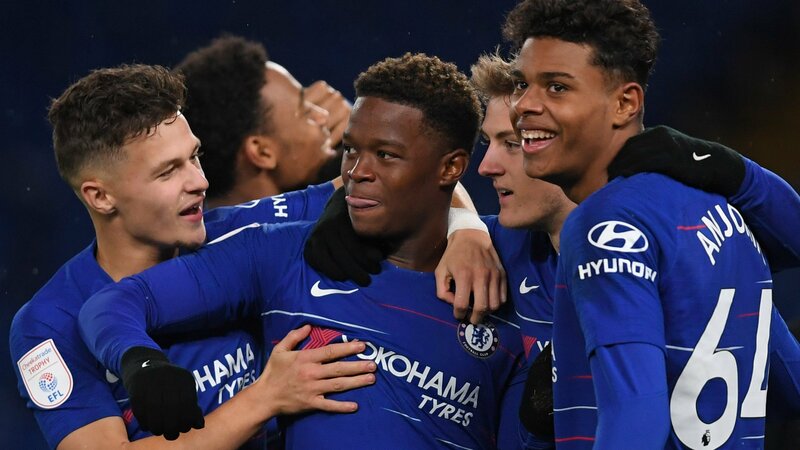 Premier League clubs should loan young players to teams in League One and League Two using an NFL-style draft, says Peterborough owner Darragh MacAnthony. The Irishman has set out his proposal to overhaul the loan system he says has “absolutely shafted” clubs financially, and is causing an “uneasy feeling” among teams in the third and fourth tiers. In short, MacAnthony would like all 20 Premier League sides to choose five players to enter the draft, with each of the 48 teams across League One and League Two choosing two players to take on season-long loans. “Can you imagine the entertainment every June?” the 42-year-old told BBC Sport. It is the kind of spectacle that draws big viewing figures in the US, where American football, basketball, ice hockey and baseball all use the system. But could it be applied to English football, to get more promising youngsters out of under-23 leagues and into first-team action in the English Football League? What’s wrong with the EFL loan system? What is the NFL Draft and how does it work? MacAnthony has been chairman of League One Peterborough for 12 years, and says he is finding it increasingly difficult to afford loan players from the Premier League. They have three loanees this season – Jamie Walker, Tyler Denton and Jason Cummings – all from Championship sides. Under MacAnthony’s proposals EFL clubs would not contribute towards a player’s wages from the draft, but would have to give them a certain percentage of playing time. “We went after a couple of Premier League loans in the summer and we were quoted £5,000 a week for a 52-week loan, when the season is only 40 odd weeks,” he said. “Also we had to accommodate them, so it would end up costing us nearly £6,000 a week for a 19-year-old, from whatever club you might want to quote in the Premier League. “I hate that and it just went against every bone in my body that we’d be paying all this money, when we’re going to have to develop someone else’s player. “I’m happy to sit down with the EFL, or for them to read my Twitter feed, and take this forward.